Cowell is happy and excited to become a dad and says his girlfriend, Lauren Silverman, has changed his life for the better. The X Factor boss has finally opened up about his pregnant girlfriend, Lauren Silverman, who reached a divorce settlement with her ex-husband, Andrew Silverman, last week, and believes she’s changed his life for the better. The 53-year-old music mogul told the BBC at the world premiere of One Direction: This Is Us in London yesterday, "I'm proud to be a dad. It's something I hadn't thought of before, but now I know I feel good about it." He added, "Things are changing in my life right now, for the better. [Lauren's] a very special girl." 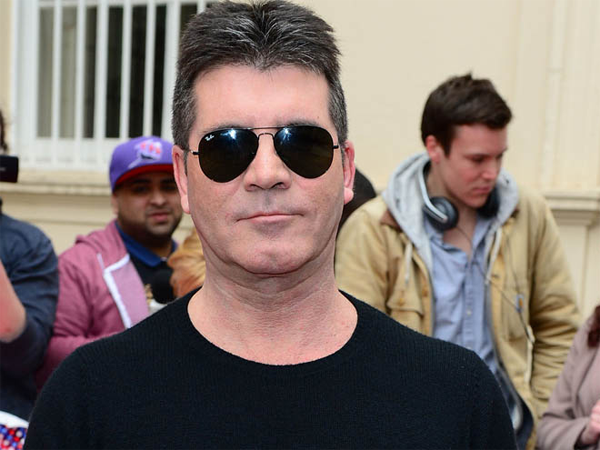 Simon declined to discuss his relationship status further and according to UsMagazine.com, he told reporters on the red carpet, "Unfortunately, I have to keep this, for the moment, private. It's just one of those things. But thank you very much anyway." The couple have not been seen together since news of their secret relationship, which allegedly began four years ago, broke but the music mogul has arranged for Lauren to jet across to the UK to meet his mom, Julie Brett. A source previously said, "Lauren is flying to the UK to be formally introduced to Simon's mom. He's more nervous about that than becoming a dad! Simon's mom is the boss. The Syco boss was joined by his ex-fiancée, Mezhgan Hussainy, and ex-girlfriend Sinitta on the red carpet after jetting in for the premiere from their holiday in the Mediterranean.